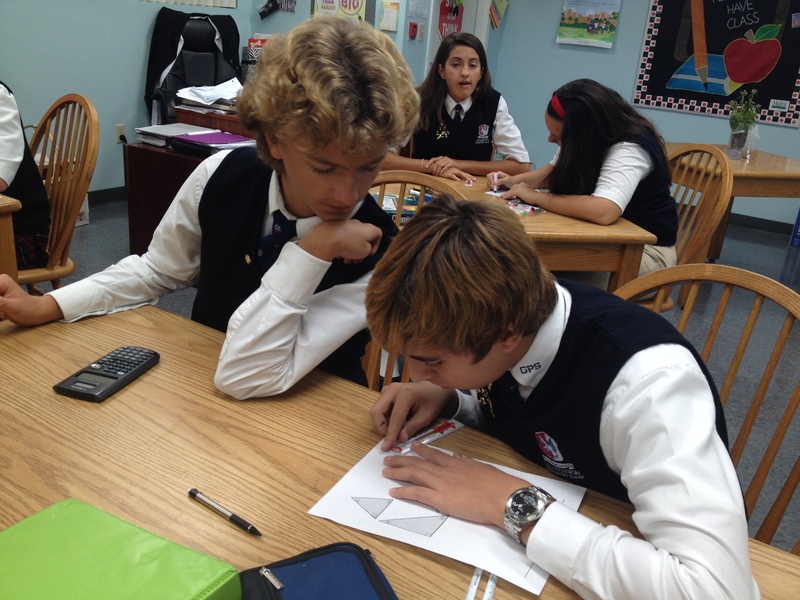 Each year, students of geometry are told that the sum of all three angles is a triangle is always 180 degrees. Geometry teacher Aileen Palmer brings this fact to life by providing her students with a hands-on activity to prove its truth. 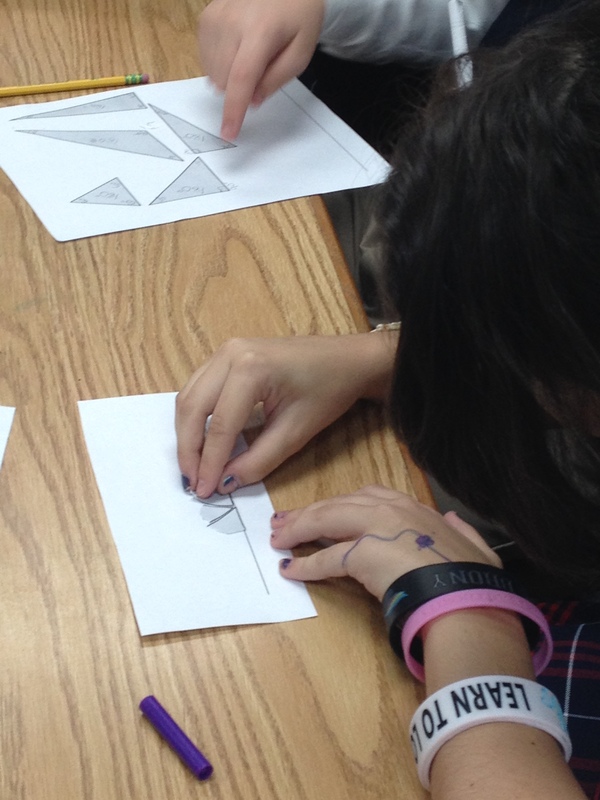 Students first create several different types and sizes of triangles on a piece of paper. 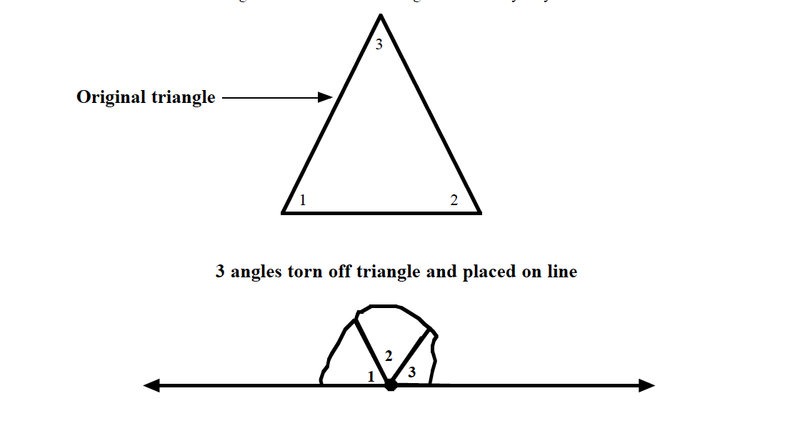 Then, they tear of the vertices (the points of the triangle, for those who have not had geometry in a few years) and arrange them back together on a straight line. 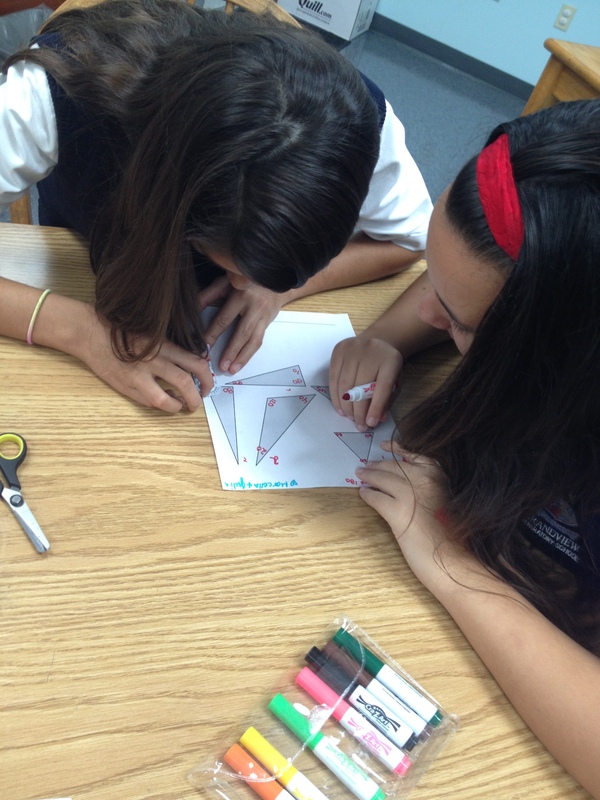 In the second part of this activity, students actually measured the angles using a protractor. As a class, students discussed why there might be differences in their answers. How could some measurements not add up to 180 degrees? What could cause these errors? How could these errors be fixed or eliminated? Finally, students brainstormed some real-life applications, such as designing bridges and zip-lining courses and building house roofs. 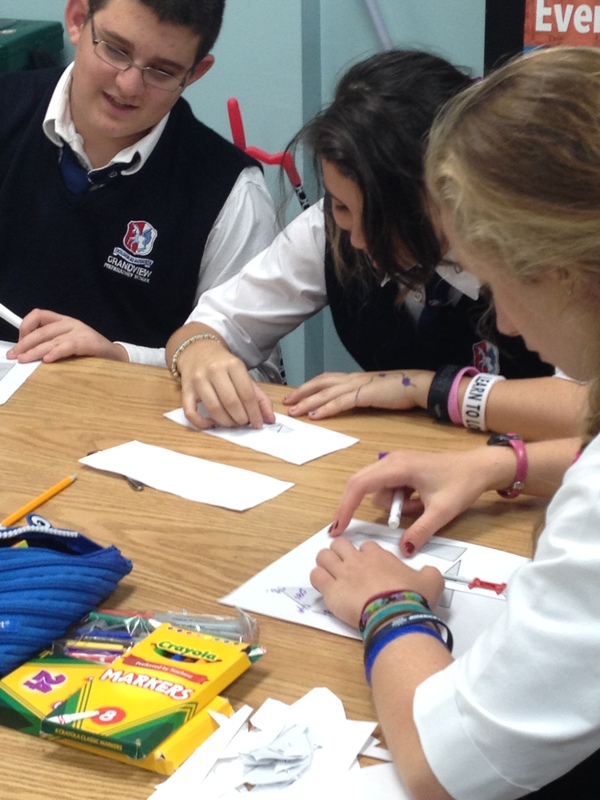 Hands-on activities are integral to reaching students and allowing them to see the practical use of skills learned in math class, which can otherwise seem abstract. And— they’re fun! Tags: Geometry. Bookmark the permalink.